This game was nothing like it should have been, and everything it shouldn’t have been. Bloops fell daintily for doubles. Liners zipped into gloves like magnets. Busted squeezes became steals of home. 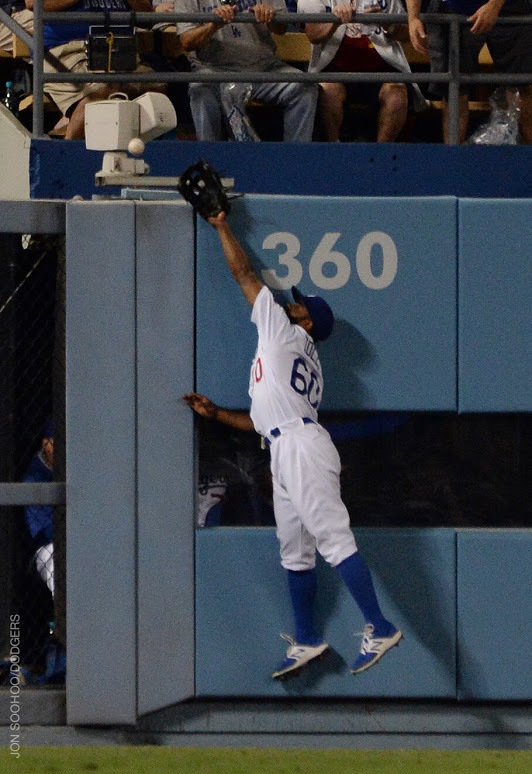 The Dodgers should have been buried, but weren’t. Then they could have won going away, but didn’t. 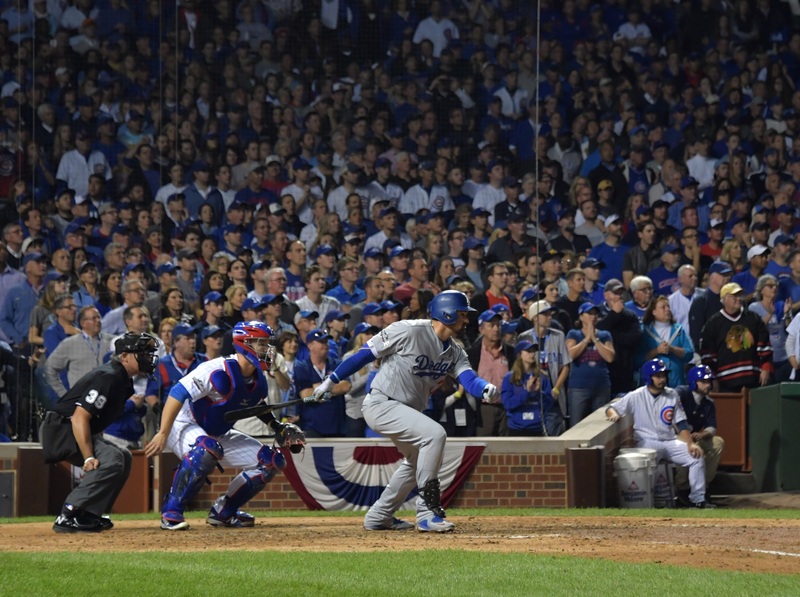 Trailing for seven innings, then tying the game in the top of the eighth with Adrián González’s two-run single off human sonic boom Aroldis Chapman, the Dodgers fell to the Chicago Cubs in Game 1 of the National League Championship Series, 8-4, after a pinch-hit grand slam by Miguel Montero off Joe Blanton. 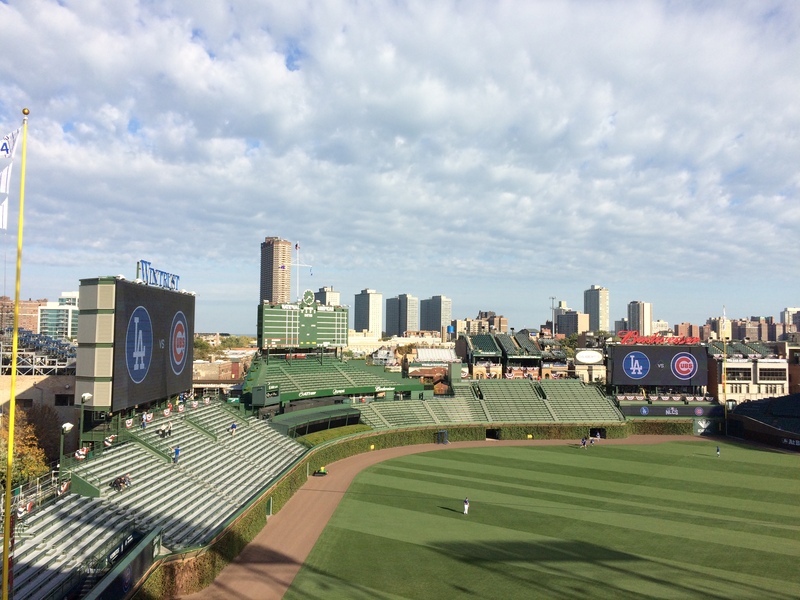 Still hoping for a road split, Los Angeles will send Clayton Kershaw to the Wrigley Field mound Sunday for Game 2, following a night of contemplating how nearly they stole their pennant series opener. 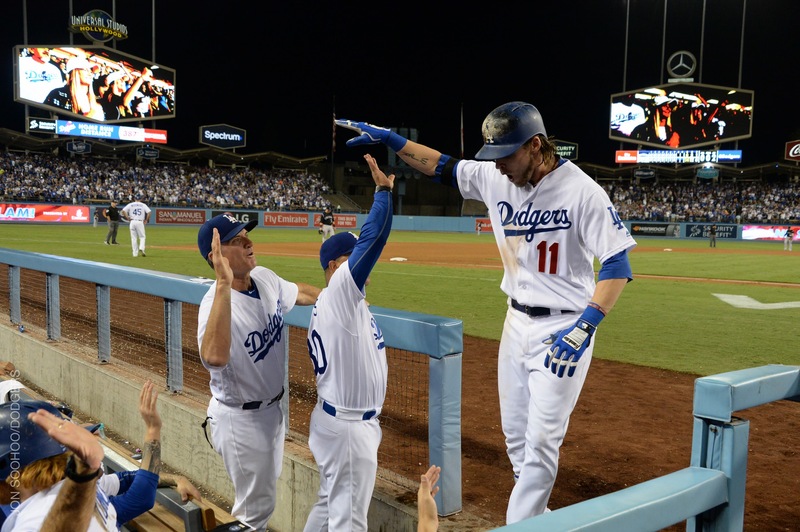 Crushing defeat for #Dodgers? Adrian Gonzalez: "This actually gives us a lot of confidence. We know we can beat them." The October sky had fallen into a million pieces and landed on the field at Dodger Stadium again. A 5-2 Dodger lead heading into the seventh inning of Game 4 of the National League Division Series left the frame in a 5-5 tie. And either someone was going to sweep away those pieces, or pick them back up. Maybe you’ve seen these Dodgers before. In the bottom of the eighth inning, one of the game’s top relief pitchers in 2016, Washington’s Blake Treinen, got the first two outs. 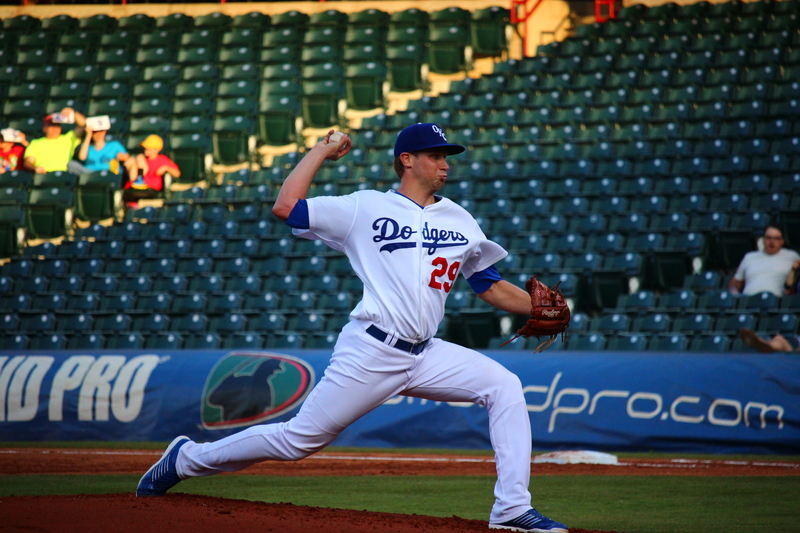 The Dodger farm system started the season on top and fans can help make it end the season in the same spot. Fans can vote here for the 2016 MiLBYS, the MiLB.com awards for the best of the year in the minor leagues. 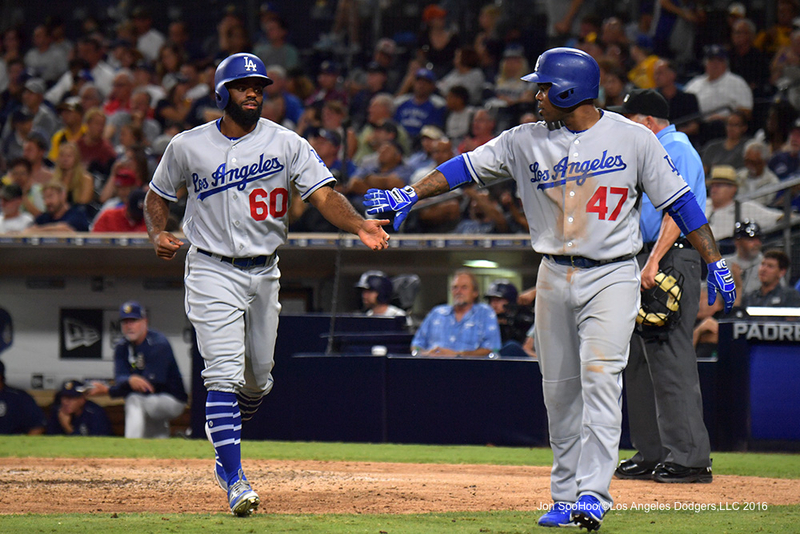 Though the Dodgers haven’t announced their full starting lineup for Game 1 of the National League Division Series on Friday, Dave Roberts did tell reporters today that Andrew Toles will be the left fielder. What good are baseball prospects if they don’t move? The Dodgers came into 2016 with the top farm system in baseball across the board, according to MLB.com, Baseball America and Baseball Prospectus. They had five prospects in MLB.com’s preseason Top 100 Prospects list. And all five moved. No. 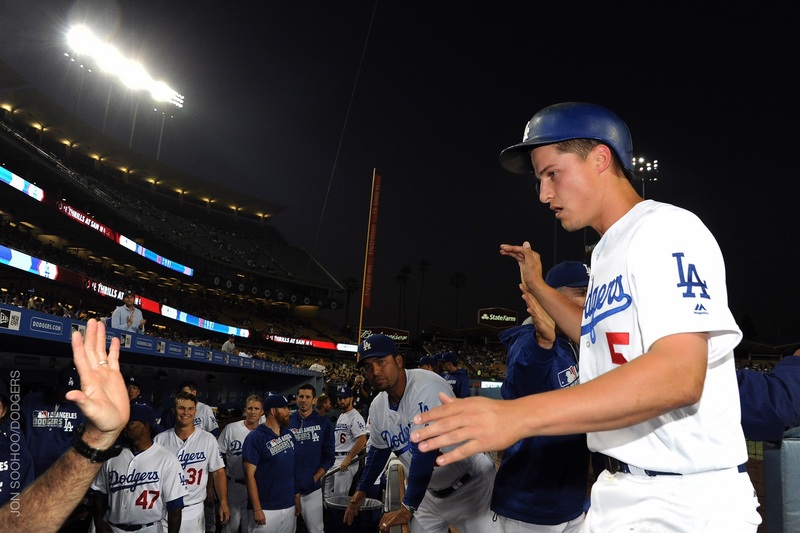 1 overall prospect Corey Seager will, in all likelihood, be the National League Rookie of the Year. MLB.com No. 4 prospect Julio Uriás graduated from the Triple-A Oklahoma City Dodgers as a teenager and showed rapid progress in the Majors with Los Angeles. No. 24 prospect Jose De León knocked on the door so hard that the Dodgers answered in September, calling him up and watching him contribute to wins right away. In addition, the Dodgers moved No. 62 Grant Holmes and No. 95 Frankie Montas to Oakland in the deal for Rich Hill and Josh Reddick. 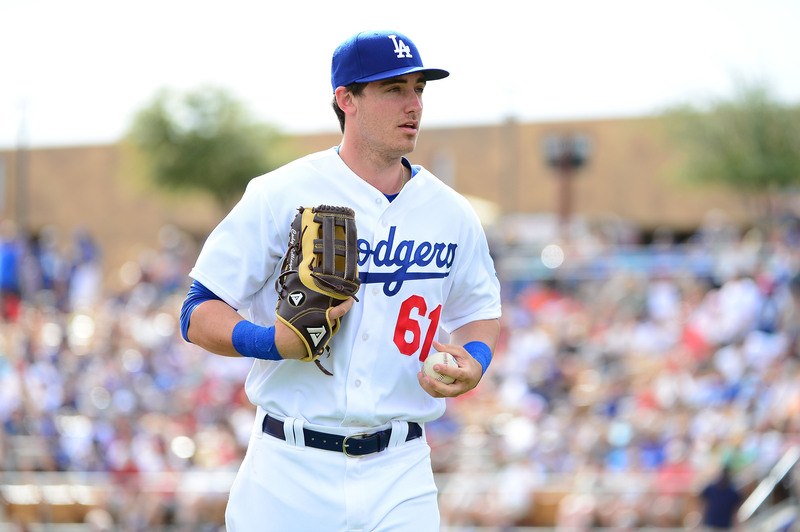 In all, seven Dodger minor-leaguers made their Major League debut this year. Many others raised their game, climbed the ladder and gave the Dodger farm good reason to be highly regarded next year as well. Eduardo Nunez gave the Giants another self-generated run when he homered just over Andrew Toles’ glove and off a camera housing in the fifth inning tonight, and unlike Monday, the San Francisco Giants made it stand up. Adding an insurance run on Brandon Belt’s ninth-inning homer, the Giants came away with a 2-0 victory. San Francisco cut the Dodgers’ lead in the National League West to five games, and perhaps more interestingly, forged a three-way tie with the Mets and Cardinals for the two available NL Wild Card spots at 80-71. The Giants held on despite needing 3 2/3 shutout innings from their maligned bullpen, after a left groin strain forced Johnny Cueto from the game. San Francisco also lost shortstop Brandon Crawford when he dislocated his left pinky while trying to go from first to third in the second inning. 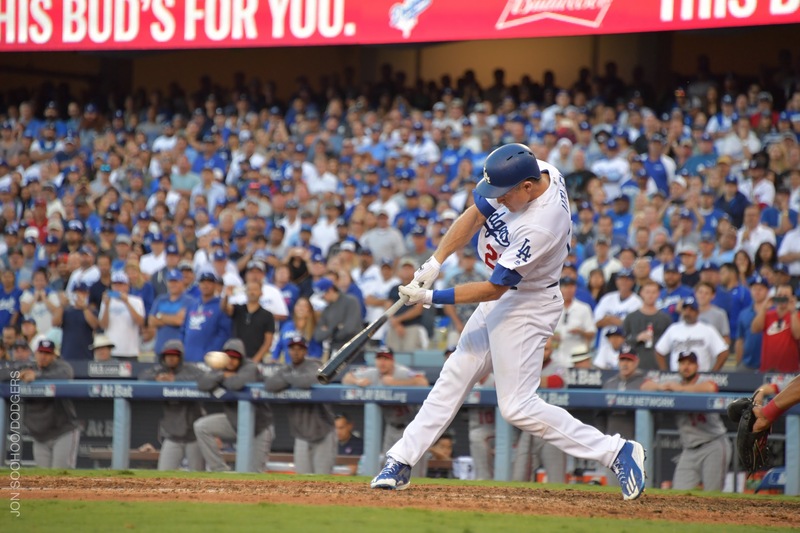 Corey Seager, who among his many other achievements is on pace to break Mike Piazza’s 23-year-old Dodger rookie record for on-base percentage, was one of four Dodgers with two hits apiece in the Dodgers to a 5-2 victory over Arizona.